I have recently discovered Kale! Yes I know that sounds ridiculous right?! I have a very dear friend who loves it and eats it all the time, inspired by her enthusiasm for the green leafy vegetable, I thought I would have a go. 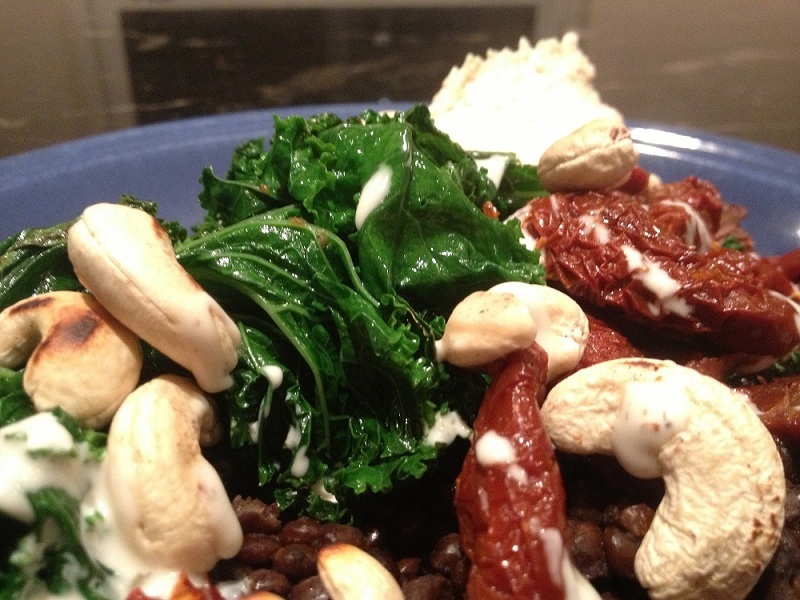 Here is my recipe for Chilli Kale that is actually so delicious I think I could eat it every day! What can I say, I’m converted! Start by heating a pan and add a couple of teaspoons of coconut oil to it. Once the oil has melted, add the chillies and tomatoes and allow to cook through, adding the seasoning. Add the Kale to the heat and gently turn until it is well coated with oil, seasoning and the chilli and tomato mix, keep turning until it softens and the colour changes. Allow it to heat through. Then start to build your plate of food by adding the kale, then the lentils, then the remaining tomatoes from the pan. I like to serve this with some fresh hummus and a few cashew nuts. In fact here are a few reasons to make sure you eat it every week! Kale is high in fibre has no fat, it is high in iron, high in Vitamin K, it is filled with powerful antioxidants, such as carotenoids and flavonoids, it is a great anti-inflammatory food, it helps to support the cardiovascular system, It is high in Vitamin A, high in Vitamin C, high in calcium and fantastic if you are on a detox! Next Post Salt and Spice and all things nice! Love kale but wish you could buy it a whole leaves and not ready chopped!